It was about a year ago and probably in similar weather that I saw for the first time the black and white book cover of In the Embrace of a Lie by Nigar Guliyeva. I’m always intrigued when it comes to Azerbaijani writers, especially young, as often they don’t get the attention they deserve. But this time it was particularly interesting since by the time the cover had first appeared on its dedicated social media page, its anxious followers already knew and had been reposting some of the best lines from the book. In a clever marketing move, quotes were simply but tastefully decorated with appropriate background pictures and widely popularised on Facebook several months prior to the official launch of the book. Simple but heartfelt, her words found their way into a lot of young women’s hearts. Those quotes were shared by so many of my friends that after a while I found myself wondering what all those puzzle pieces would build into and naturally wanted to get my hands on the book as soon as possible. Her debut novel is based in Baku and is a story about betrayal and heartbreak but ultimately love and how it sometimes unpredictably enters and exits people’s lives. As she explained later in our meeting, she doesn’t specifically aim to teach us anything, but to show us choices and their consequences, as sometimes it’s useful to look at a situation from a few steps back. A newlywed couple, a carefree, successful café owner and a beautiful woman with a terrible start in life. Each has their own story but somehow all four are connected in ways that the reader cannot predict until the very last pages of the book. Zarif, one of the four main characters, is newly married and according to Baku’s contemporary definition of a good marriage, hers is a match made in heaven. Only the tone in which she narrates her life seems to imply a different sentiment familiar to a lot of women in Azerbaijan, where marriage as a social norm needs to happen sooner rather than later, preferably by the age of 25. The role of family is incredibly important in the country and marriage as the next step after university is almost obligatory in some families, leaving young women trapped in a conflicting emotional state. It’s in precisely that monotony that we find Zarif on her way to a café one Sunday, the day her husband and her have mutually agreed to spend apart, believing this to be the best way to make the marriage last longer. Somehow, despite the “goodness” of their marriage, both, for very different reasons, very much look forward to each and every Sunday. And yet on this particular one, the café owner, enchanted by the way Zarif looks at the rainy day beyond the window, decides to start a conversation with her. And who could know that such a short, innocent conversation would not only change their lives but also impact the fate of her husband and his best-kept Sunday secret. When we met last October in a café in Baku, I noted how surprisingly young Nigar is. The main themes that she chose and maturity with which she approached them would be more fitting for an experienced rather than the fragile young woman in front of me, timidly sipping green tea while looking at the raindrops. I noticed she was drifting away, so I asked her if this was her writing mood. Indeed, my mood improves in this kind of weather; I’m more prone to write, she said. 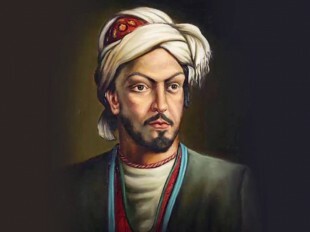 Contemporary Azerbaijani writers often have one thing in common – they all combine writing with another profession, never choosing one over the other. 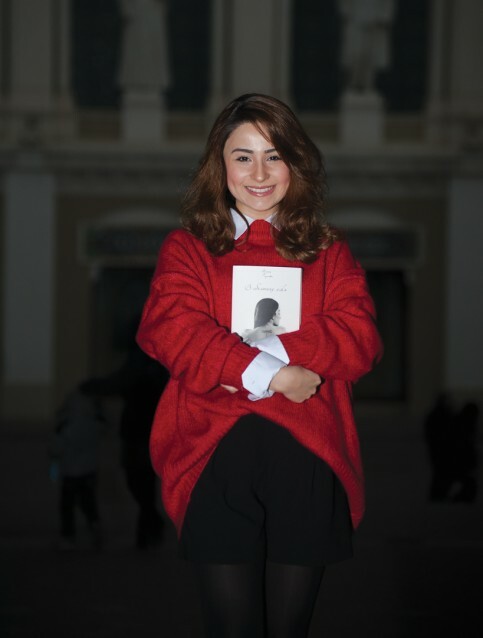 Born and raised in Baku, Nigar is also an economist working in one of the local banks, and despite a successful start in the literary world she doesn’t intend to turn writing into her full-time occupation. As long as it stays my hobby there’s no pressure or limits, it’s easier to write this way. When you know you HAVE to write something, the result does not come from the soul. As she explained, before In the Embrace of a Lie, writing only existed in her life in the form of diaries in which she wrote more about the things that happened around her rather than about her in particular. Until one evening, while browsing the internet, she stumbled upon a personality test, which based on her answers calculated her ideal profession to be a writer. And just like that, at around 3 AM, surprised and intrigued by that result, she sat down and wrote what later became the first chapter of her book. Later on, the years of all those journal entries became like pieces of a puzzle finally forming into a complete picture. Most of them were re-worked into content for the book. I was just writing about people, about life and then putting it all together. When all the characters were formed in my head, and I realised all their stories needed to be told, I knew I had to finalise it in the form of a book. I have heard authors often admit that after working on the same story for some time, the line between reality and fiction slowly erases and all the characters seem like real people, for whom the author feels a certain responsibility. Similarly, Nigar wasn’t as concerned about the plot as she was about the ending, because the fates of those characters were in my hands and I needed to give all of them a proper ending. For the next year, taking occasional breaks, she would secretly write every day. But when she says “write” she doesn’t necessarily mean it in the conventional sense. For the duration of that year, every lunch break she would go out by herself to a soulless area by her office and record chapters on a Dictaphone while walking. That’s because I cannot write as fast as I think. I would record something personal, some of my own yearnings without knowing which character would inherit it from me. And then I would come up with the story that would help me apply those feelings to the character. She admitted to delaying the hardest part of the process – typing up her recorded notes – since there were so many of them. Plus I hate my voice on the Dictaphone. Even now, I know there are so many things I’ve recorded that I need to type, and I don’t even remember what I’ve recorded. I couldn’t come up with names for chapters. But then each chapter inevitably associated with a song, most of them being the unpopular songs, the ones you hear as background music of some not very famous commercials and films. Although I did mention some famous songs as well. The contents of the book turned into a playlist, you can listen to them and understand the atmosphere of the chapter or even the whole book. She also filled the pages with photographs that she had taken herself all around Baku, which helps to reflect where the action takes place, but also relates the narrative more personally to what was happening in Nigar’s life. Each hero has something from me; I’ll tell you this, when my mum read it she was overwhelmed by seeing me in every character. Those who know me well – they recognise me in every character; those who don’t know me see me only in one character. Or don’t recognise me at all. This is how I knew who knows me better. Her fascination with infidelity and loneliness is, interestingly, not autobiographical or borrowed from stories told by friends. It stems from her favourite author, Vishnevskiy, whose stories are infused with these particular themes. It seems like I’ve seen every possible film and read every book on that topic. And somehow, in my next work I want to leave familiar waters and not come back to this favourite topic of mine, she said. Some of them I met. And they are waiting for the second book, but this doesn’t come across like pressure, more like a motivation. The main thing she will strive to achieve is for the second book to be different and even better than the first: Not a disappointment. That’s why it’s harder to write the second one, she said. Nigar, like her main character Zarif, is interested in psychology, although while the latter is completely fascinated by behavioural psychology, Nigar’s interest is wider and includes psychiatry and the particularities of the mind. Knowing that previously her interest in infidelity ultimately resulted in a book, I wondered if her next novel could also be psychological, to which she mused: If I could study psychiatry in depth, I could reflect it in one of my books in the future. Writing makes you feel better. When you’re writing even just a letter. If there are words that you cannot say to someone, it makes it easier to write it down and leave. I even often write letters to myself for the future. I’m writing about things that happen at the moment, and at the end I write questions and how I assume those questions will be answered. The dates I open them on change. Another parallel with the book is that she then puts all the letters into a special box – Nigar’s box of memories and letters – which she’s had since the third grade. As we were leaving the café, I asked her to think what would be the song that best characterised her life at that moment and then come back to me with the answer. After reading the book, I was left with a slight feeling of sadness, not quite sure which of the four characters I was responding to. All were embracing their own lies, unknowingly affecting the fates of each other. In retrospect, the way she ends In the Embrace of a Lie is unexpectedly harsh but real, much closer to reality than a modern-day fairy tale. The book finishes with a letter, which we can only wonder if it’s from her box of memories or not. As I was writing the last line, she messaged me the name of the song – Siempre Hay Esperanza by Sade, which when translated means There’s Always Hope. And indeed, as it becomes the mantra for Zarif by the end of the book, despite all the dark days and emotions that life takes us through, there always is hope.